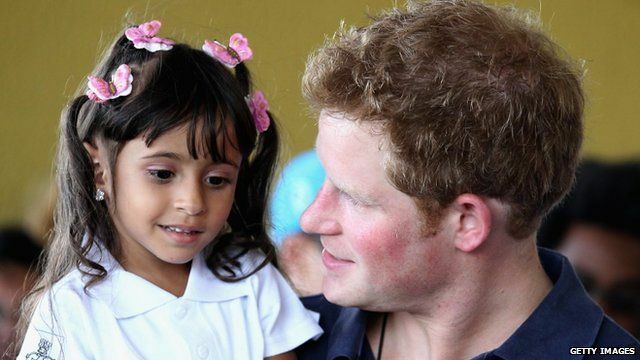 Sporting prince wins hearts in Brazil Jump to media player Prince Harry's light-hearted charm has proved a big hit in Brazil - the destination for the last leg of his first solo overseas tour. 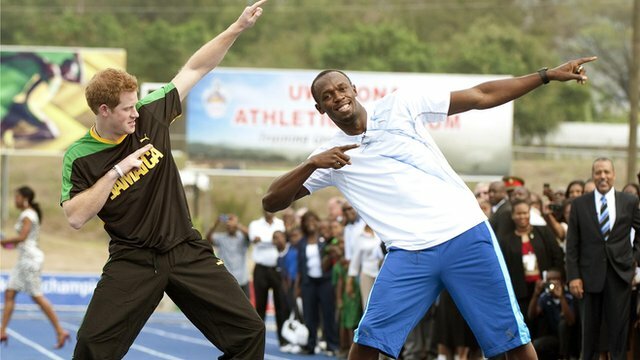 Harry 'bolts' for the finish line Jump to media player Prince Harry has taken part in a "race" with Olympic 100m champion Usain Bolt during his visit to Jamaica. 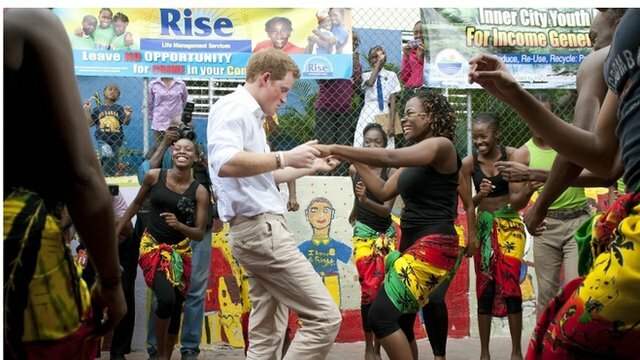 Prince Harry in Jamaican groove Jump to media player Prince Harry pays a personal tribute to the Queen during a visit to Jamaica and takes to the dance floor at a charity project. 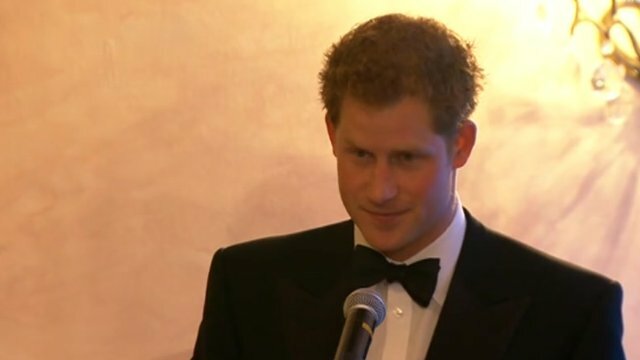 Harry pays tribute to the Queen Jump to media player Prince Harry has paid a personal tribute to the Queen, describing her as a "wonderful, caring grandmother" to whom he is utterly devoted. The prince completed a charity run in Rio de Janeiro in eight-and-a-half minutes, while donning a Prince William paper mask. Earlier he had said that Britain and Brazil were "forging bonds that will stand the test of time."